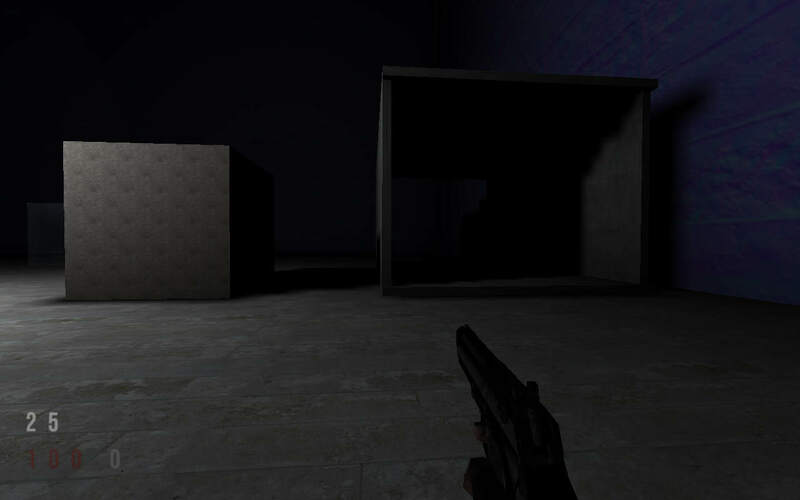 I wanted to break a little from the regular QuakeC sessions, so I wanted to give another shot to the HUD. 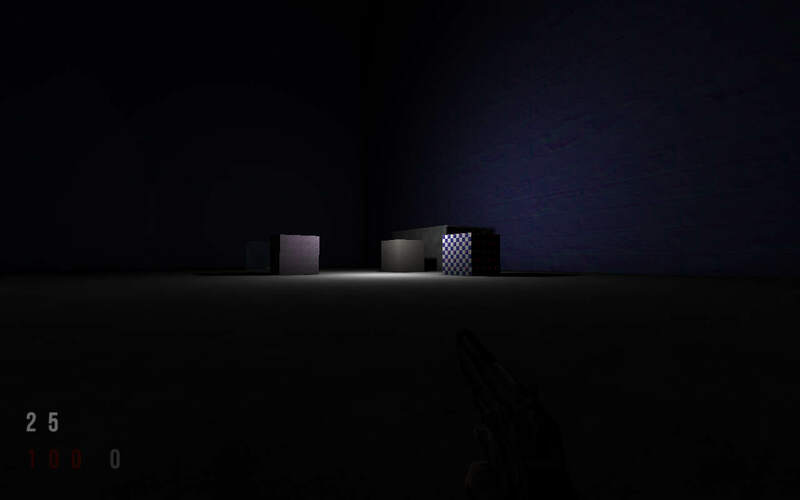 The first one – the one you saw in the previous shots, both here and on Inside3D – was an alpha version. It was there just for the positioning. It doesn’t scream “look at me, look at me!”, and it’s in a natural position for the eye to glance at it when you need to know your current ammo or health status. Now, the guys next door from QuakeOne.com had a discussion regarding HUD styles. Some of those screenshots really caught my eye. I sticked with transparent white and red. The HUD is in beta now, I might go for yellow later, as I still don’t have the menu ready. Neither any final maps. I’ll just go with the flow and see if it looks alright for me and doesn’t bother me and doesn’t stand in the way of me exploring the vast world of -, oh I’m getting into details here. No story for you, yet! EDIT: I found a nice article regarding HUD UI in games – Game UI Discoveries: What Players Want. Has some really good points. I realized I need to make the digits smaller. I might even move them to the right, as I noticed (myself) when I want to look closely at something in a game, I’d position that object in the lower left side of the screen. I might even go for some beta testing at some point.